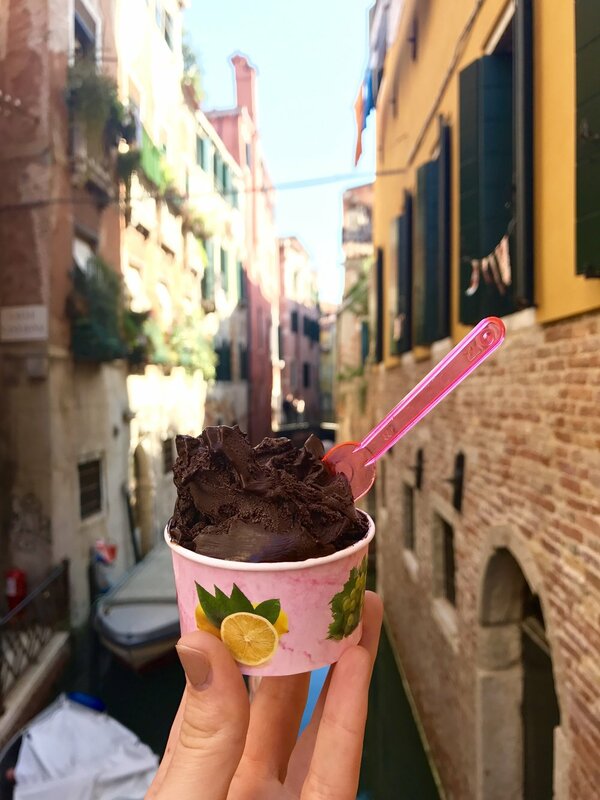 Venice is a different world in every way. The city is an impossible metropolis built on what can only be described a combination of ancient engineering, centuries of luck and a serious portion of fairy dust. It is a living, breathing city with the skin of a movie set, the heart of Disney World and the soul of an abandoned port town. It’s the most magical, confusing and photogenic place I’ve ever been and I would like to go back for a week. 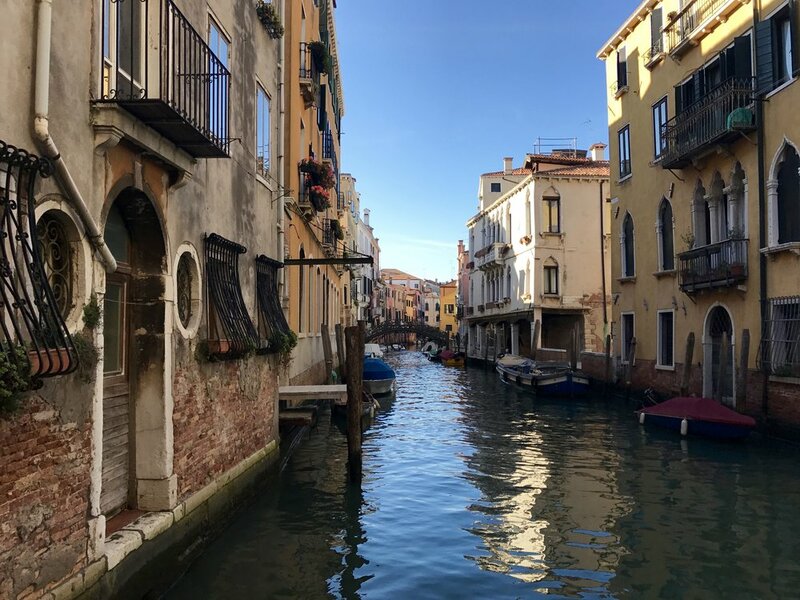 48 hours cannot do Venice justice, but (as you'll soon see) it can try. This is a big highlight for me. Tours- and walking tours especially- I have already mentioned, have the same intense hold over me as fall Harry Potter movie marathons on ABC, cozy sweaters and raw cookie dough. I literally cannot stay away. So, finding a free, 3 hour waking tour of Venice for our first day made me unnervingly ecstatic. The tour itself, run by Venice Free Walking Tours, really lived up to the hype. Our guide, a salt-and-pepper Italian Art Historian named Ricardo, took us everywhere but the main tourist attractions, implying we could figure those ones out for ourselves. Instead, we spent our fist afternoon in Venice winding our way through tiny, deserted and beautifully lit calle; learning the secret story behind each distorted facade. It was a dream. Even better, besides being an excellent tour guide and all around stand up human being, Ricardo gave us his official rules for eating out in Italy. They are below, and now my bible. Never go into a place that has pictures of food. Ever. Never go into a place that has someone standing outside of it in an apron. Get lost. Expect to spend an hour finding your restaurant and don’t settle! The price of pasta should be between 12 and 17 euros. That way you know it is good but you’re not getting ripped off. If locals are drinking at the bar but not eating, don’t eat there. It’s probably best for pre-dinner drinks and the dinner spot is somewhere close by. Always ask for tap water. If they tell you it’s not good, they’re lying. Never pay a cover charge more than 2 euros. They're illegal anyways. 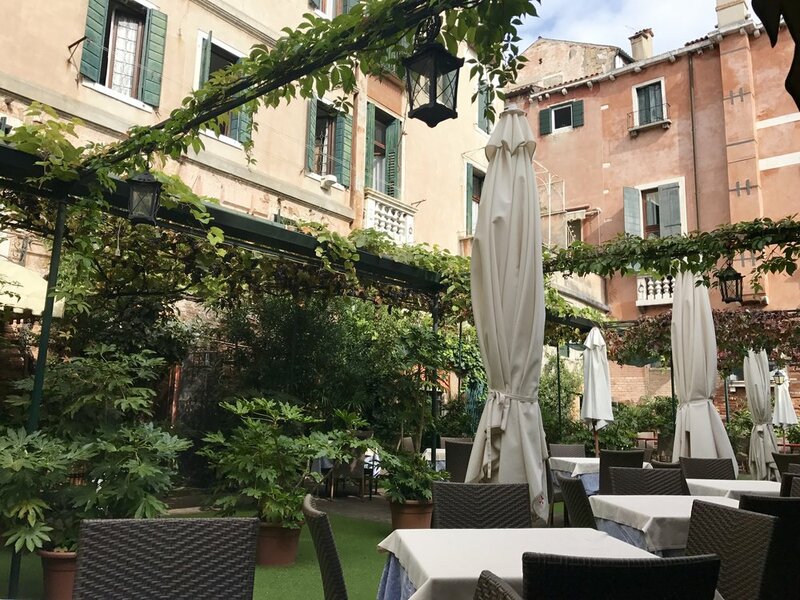 I can personally attest that these rules found us an incredible and amazingly affordable dinner our first night as well as the cutest lunch spot in Venice the next day. I’m talking ivy canopies, free water and twelve euro pasta all at the same little cafe. 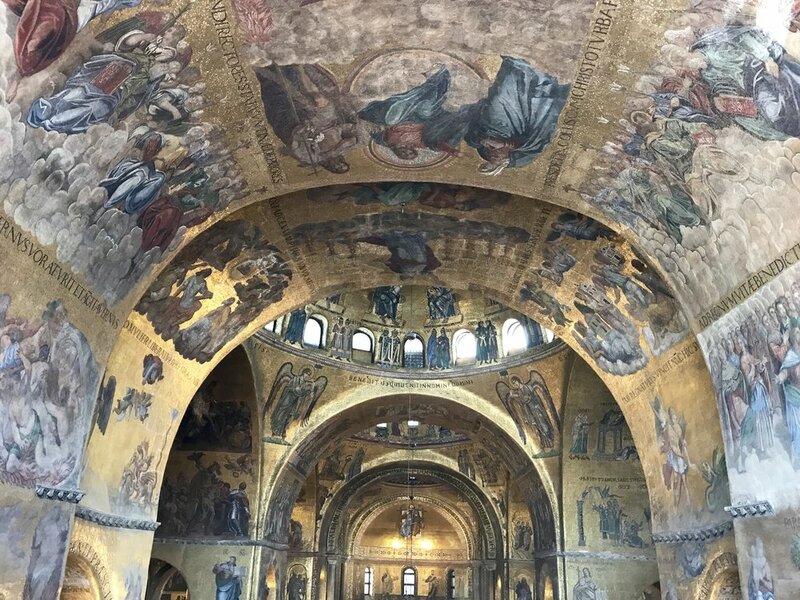 Speaking of our second day, I highly suggest a trip to Piazza San Marco. I know this seems first-google-search obvious; it is the largest and oldest basilica in Vencie and the most sought off tourist destination, but going inside the church itself is so, so worth it. A (courtesy, in my opinion) five euro entrance fee will admit you to the top floor interior of this 3rd century, Byzantine basilica as well as their museum- and of course, gift shop. The ceiling is otherworldly; covered in bright gold mosaics and opulent statues, you'll feel surrounded by angles. The live choir singing ten stories below in the Apse of the church only adds to the effect. You can even step out out onto the roof and ogle at the crowds and infamous port below. We overstayed and loved it. 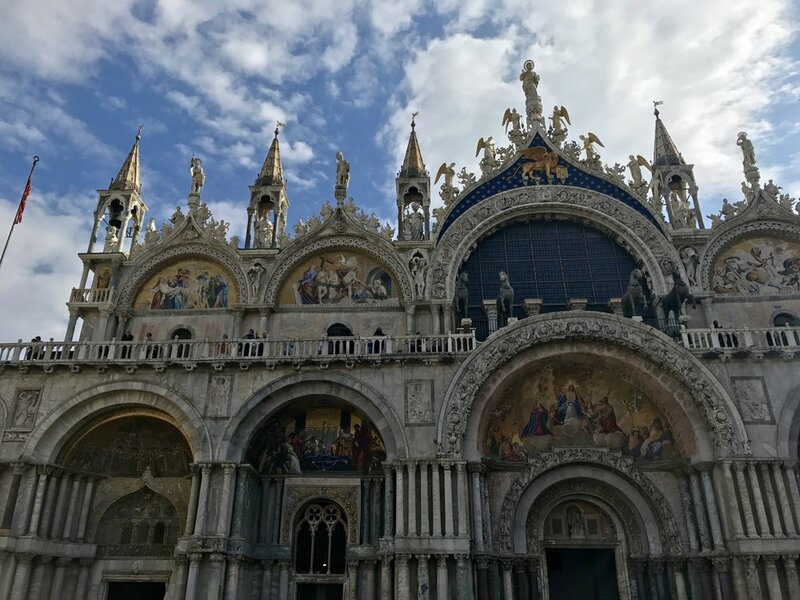 Deeply torn between a day in the Doge’s Palace (connected to Saint Mark's Basilica, 14 euro entry and Versailles-level architecture) and a boat tour around the island, the 70 degree weather and sunshine finally decided for us. Although there is a local ferry that will take you around the entirety of the island for about 7 euro, if you have enough willing gondola participants (max 6), the price is pretty comparable. 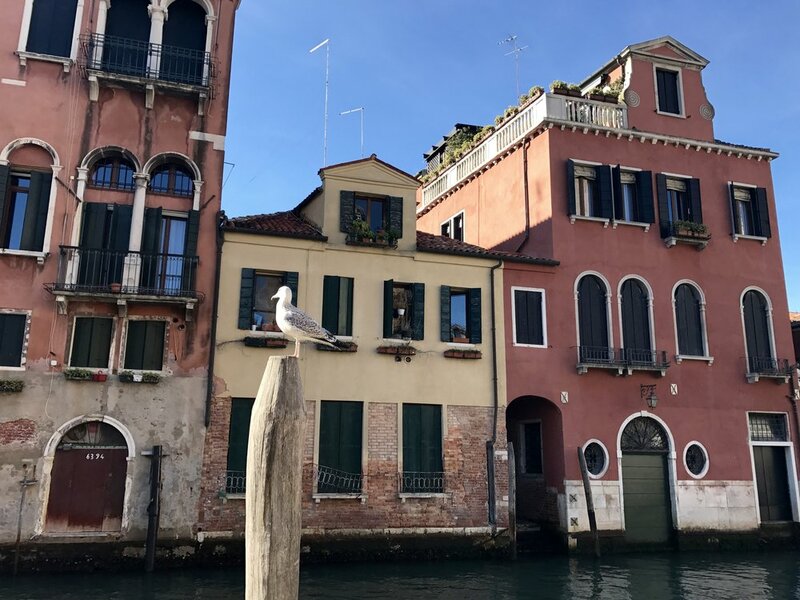 Although it’s only 30 minutes, you get a real glimpse of Venice the way it is meant to be seen. There is just so much you miss on foot. My conclusion on the highly debated gondola subject (a rip off? a magical, irreplaceable experience?) 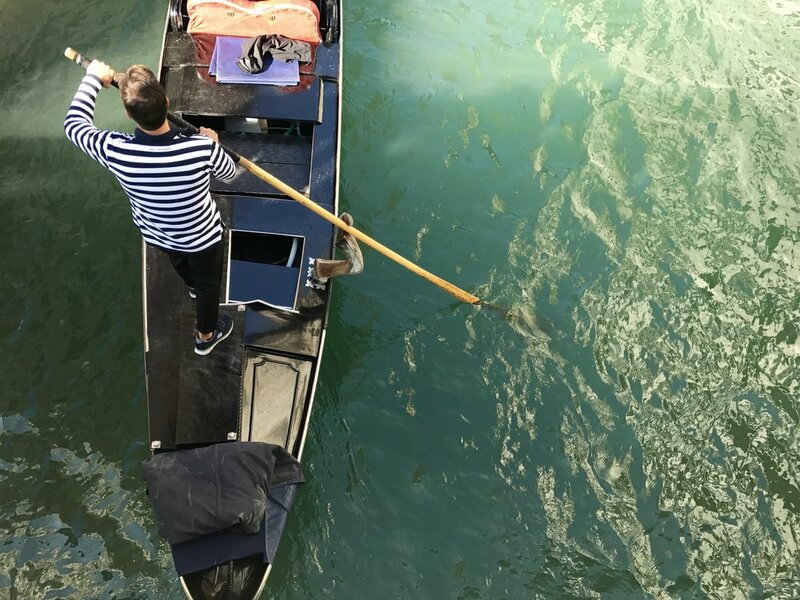 is to just get yourself on a boat in Venice; gondola, water taxi, public ferry, cruise ship, it doesn't matter; just don't swim please. We also not-so-accidentally (thanks for the rec. Riccardo!) stumbled upon the most beautiful and quirky library I’ve yet to be in. 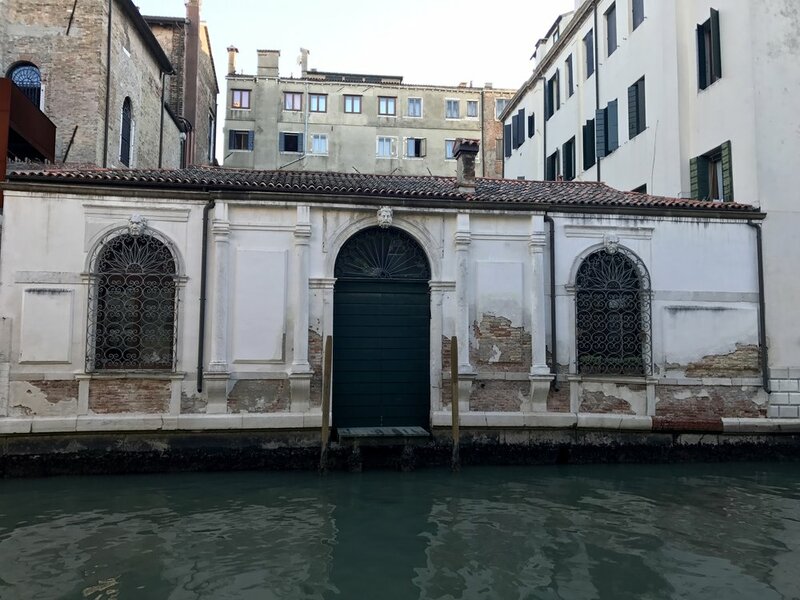 Dubbed the ‘high water library’ this hidden bookshop keeps it’s literary treasures stored in old gondolas so, if the city ever floods, the books will simply float away. I purchased an adorable lithograph and took too many pictures. If you have an hour to kill in Venice and an penchant for damp-paper smell, go. Saying goodbye to Venice was tough. Saying hello to a cosy, 4-hour bus ride in my pajamas, however, was a little easier. We are used to midnight walks home from the train station at this point. Venice- I’ll be back.